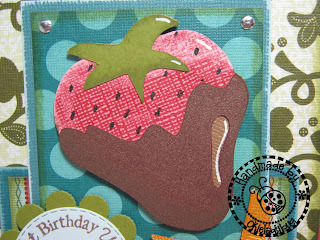 When I saw this strawberry on Sweet Shop I new I had to order it! This is the first time I have used it but it won't be the last! 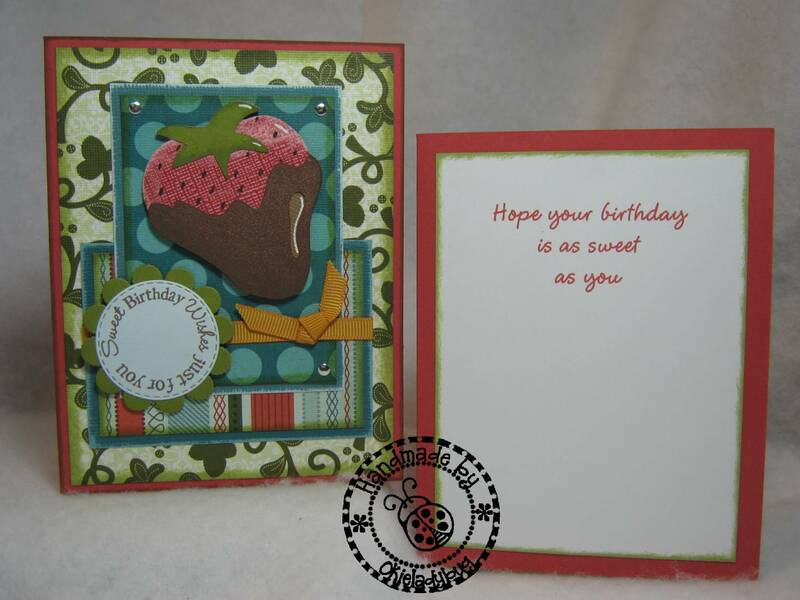 ~My Creative Time "All Around Birthday"
I wasn't sure what I wanted for the inside sentiment so I just made up one. I know...I know...it isn't that good and it isn't very original but what the hey...at least I did put one in there! 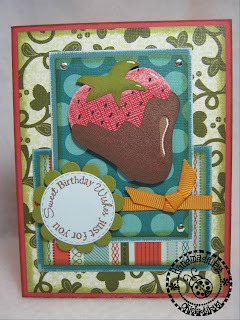 I am so loving Emma's stamps with the coordinating dies!! Here is a close up of the Strawberry where you can see how the Stardream cardstock shines and gives it the shiny chocolatey look. 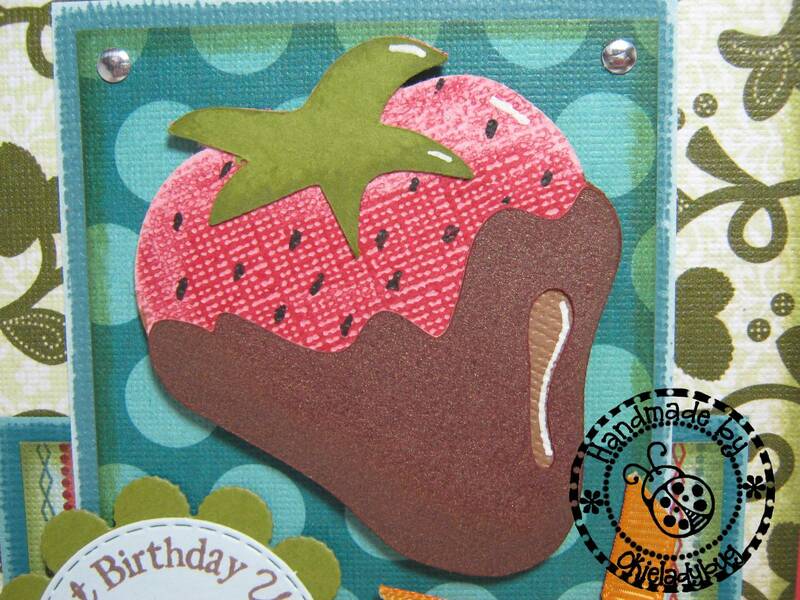 I added the strawberry seeds with the black gel pen. If you look in the bottom left hand corner of the picture you can see the "stitch" on the circle that the die does when you put it through the Cuttlebug. I love that stitching on there! Yesterday I wanted lemonade and today...I WANT CHOCOLATE!! UGH!! What a yummy card! Looks great!